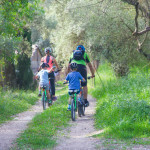 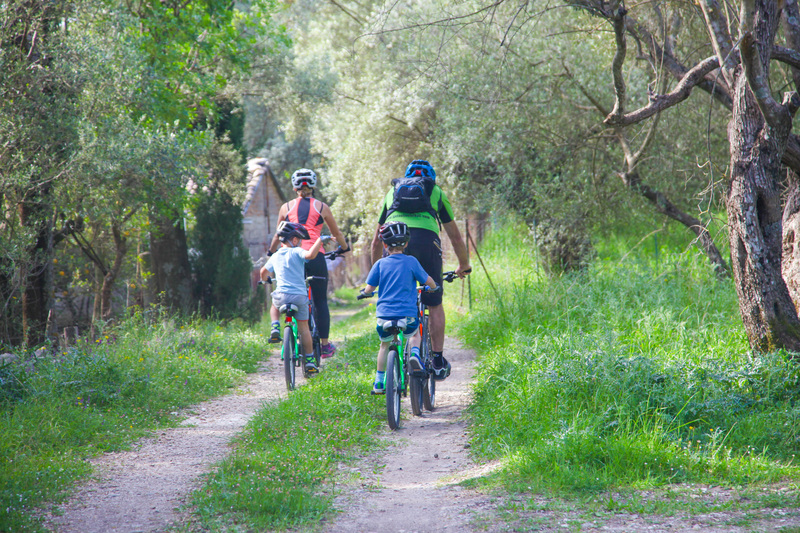 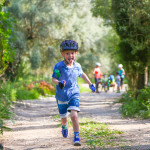 This flat leisure bike ride is on the tarmac around the cool peaceful Olive Groves and includes a trip to the famous Nidri waterfalls nestled at the foot of the mountains that surround the village. 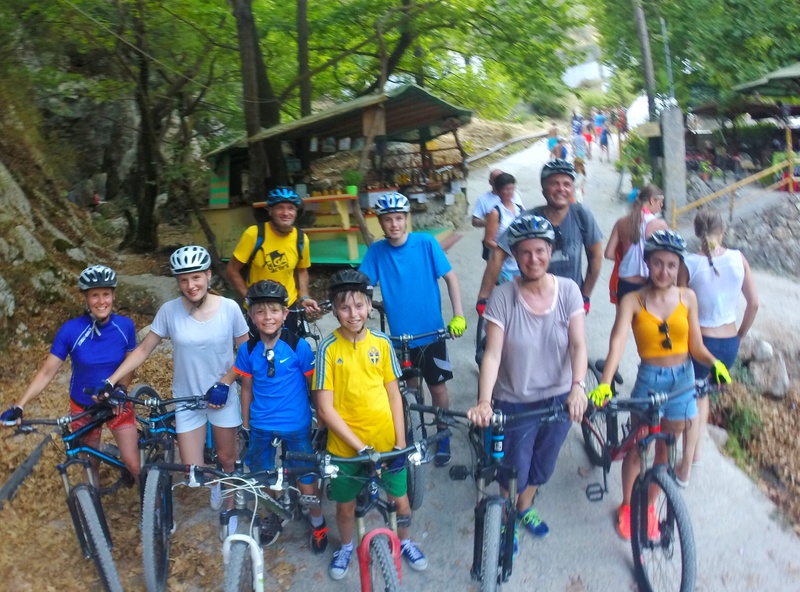 Here at the waterfalls riders have the opportunity to walk the final path to admire the falls or simply relax under the plane trees at the cafe. 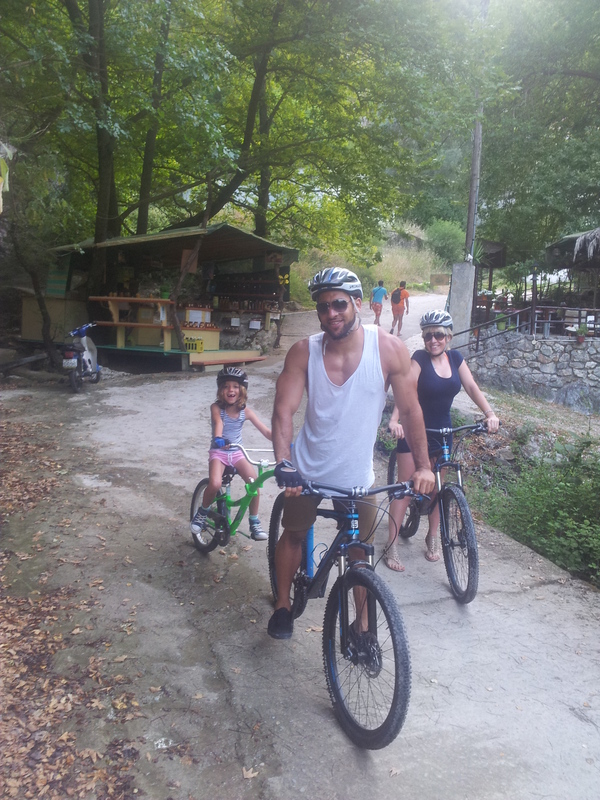 The temperature here is significantly cooler and is an ideal place to chill out! 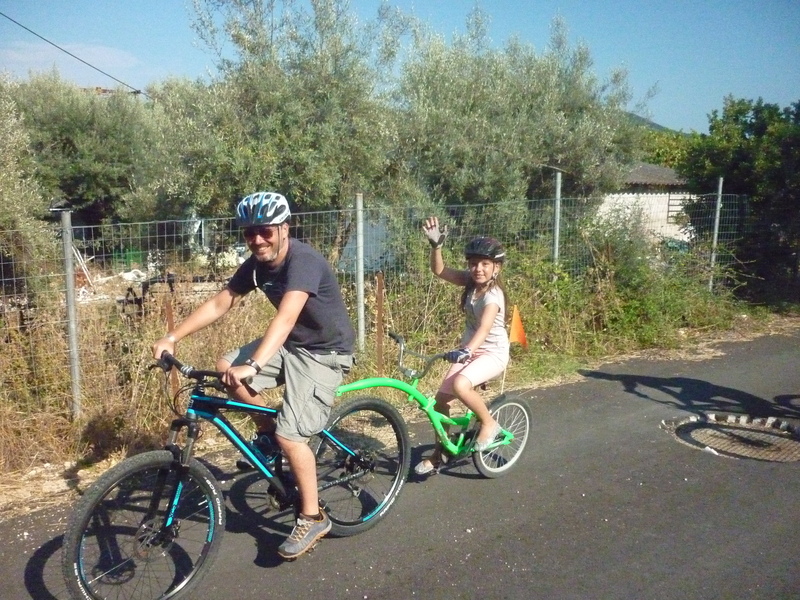 This ride lasts between 1.5 and 2 hours and is suitable for anyone, including families with children over the age of 4, who can use our co-pilot trailer bikes! 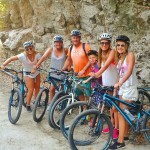 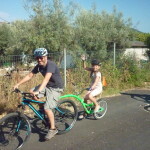 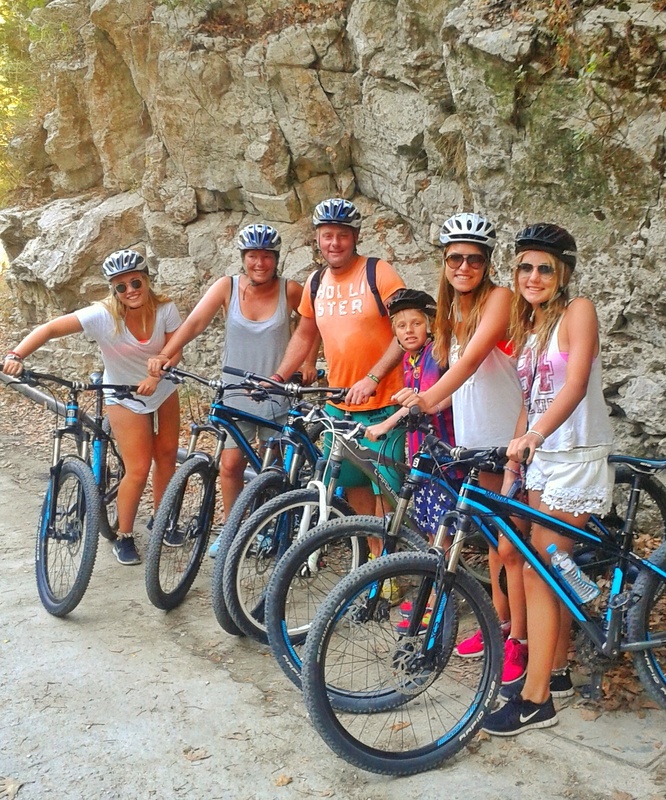 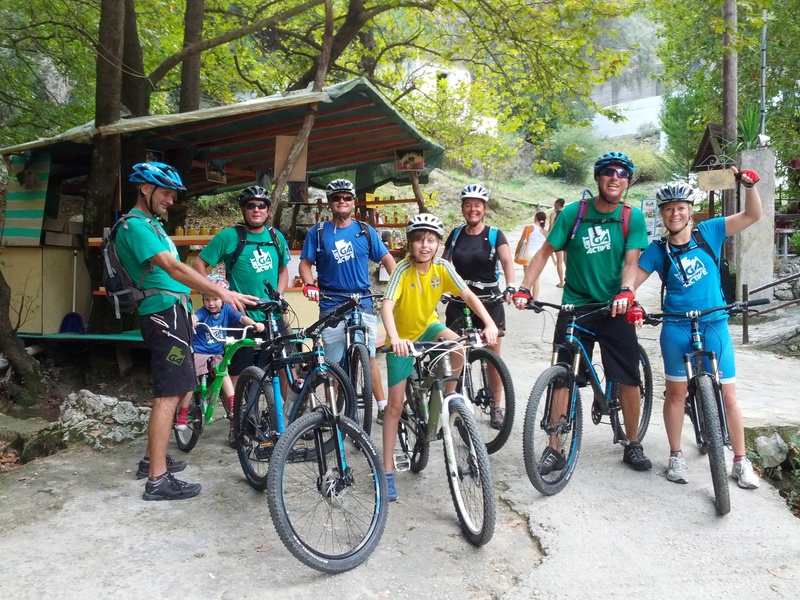 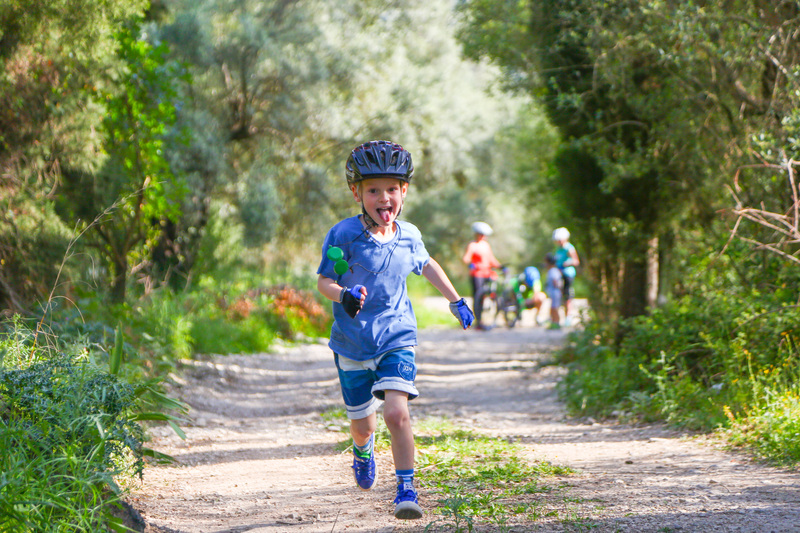 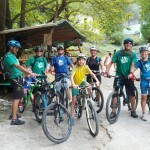 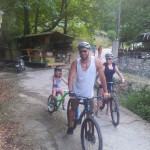 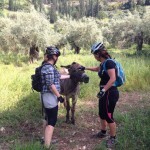 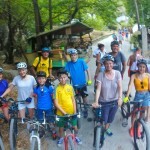 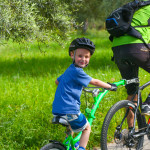 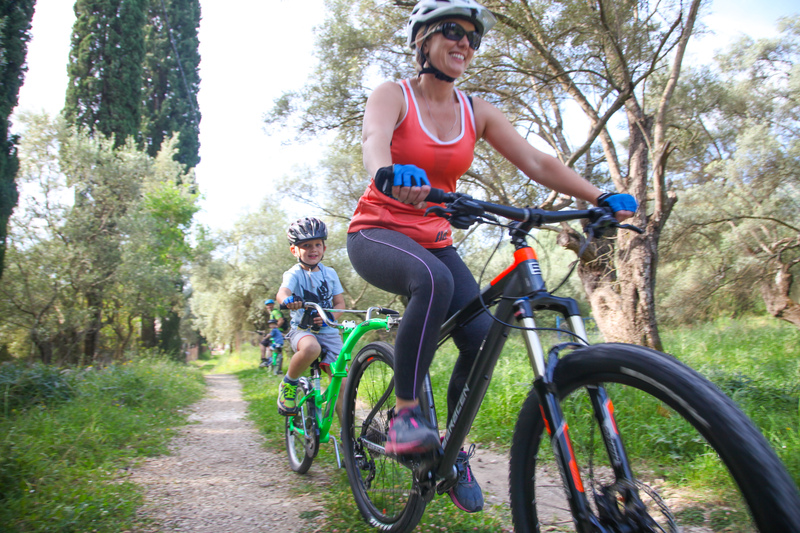 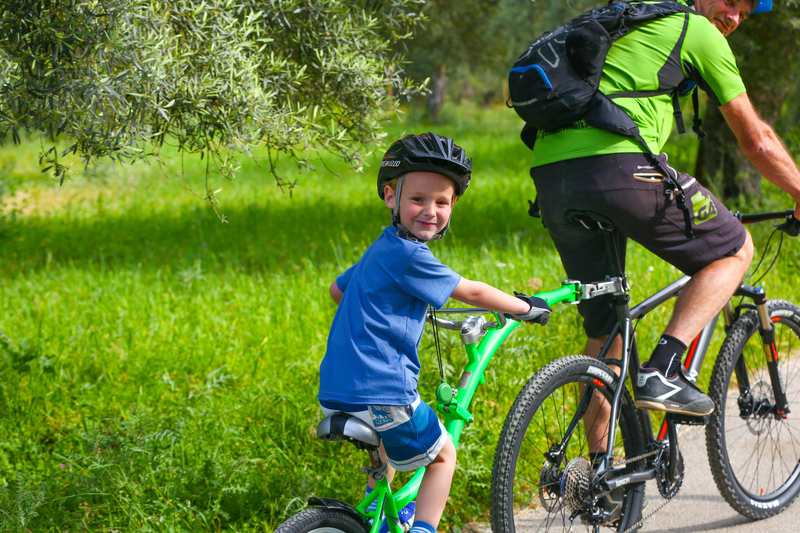 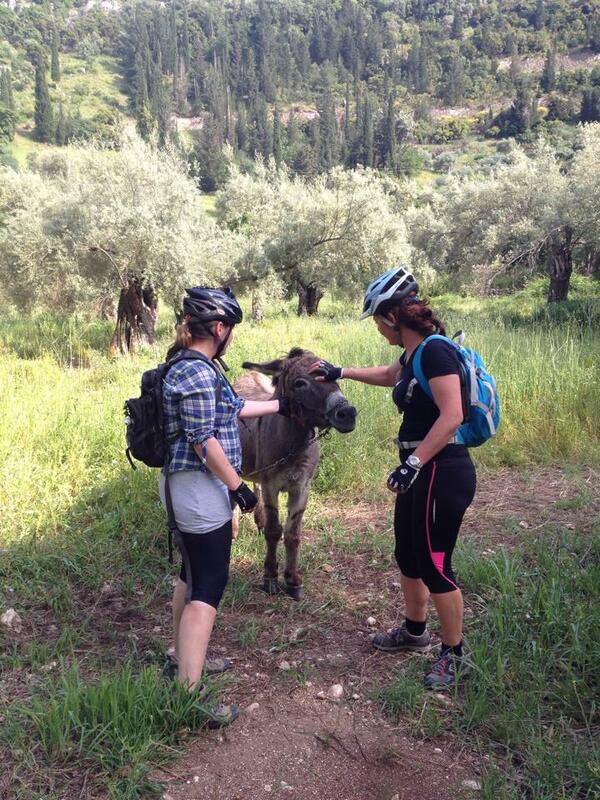 We have a limited number of trailer bikes so it’s important to book early not to miss this family activity in Lefkas!